Money matters. We live in a world built on the exchange of goods and services for hard currency. Without it, our entire global society would collapse and fall back into the Stone Age. Most people are surprised to hear that, statistically, they are actually more likely to change their life partner than to change their bank. Whether or not cryptocurrencies are set to replace banks completely is not yet known. What is clear is that not only are they a great low-cost way to send and receive money, they are also proving to be a really great investment too. The vast majority of Bitcoin owners regard themselves as investors while the remaining few are full-time cryptocurrency traders. Obviously, the needs of these two groups differ quite significantly. Long-term investors who buy up coins and sit on them until the time comes to sell don’t really need to worry about exchange rates and fees. What these people need most is only to know that their money is in safe hands. Though this is also a big concern for digital currency traders, for them exchange rates and fees are also a huge concern. So it is important for all individuals who decide to buy and sell cryptocurrency to understand what aspects of the process will most affect them. With this in mind, let’s take a look at how CEX.io performs and see whether it is a viable cryptocurrency exchange for you. Whenever choosing a digital currency exchange it always pays to do a little digging into their background. This doesn’t mean simply reading the exchange’s ‘About Us’ section, but rather means hitting the forums to find out what users are saying about their first-hand experiences. Popular forums include Reddit and CryptoHeresy, though it can be a little hard to find the topic you want on the latter site. CEX.IO was originally founded in London, England back in 2013. The company actually began life as a cloud mining operation that operated the now-closed Ghash.io pool. By 2014, this pool was actually responsible for over 42% of the total mining power of Bitcoin that year. Amazingly, it was only the following year that CEX.io announced that it was ceasing operations and instead focusing entirely on becoming a Bitcoin exchange. The company attributed the move to the relatively low price of Bitcoin at the time. 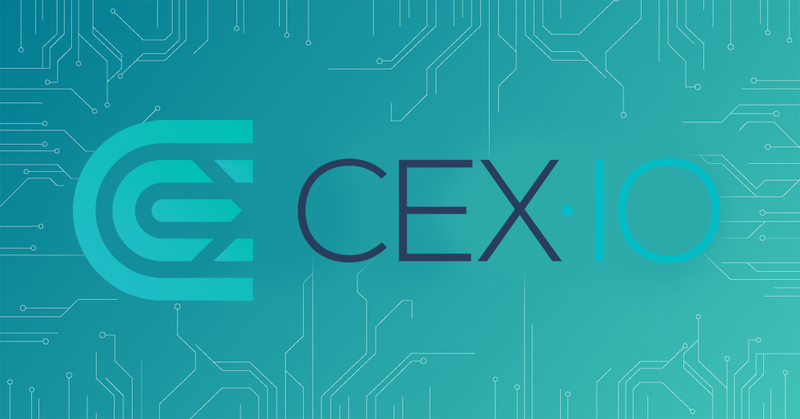 Since 2015, CEX.io has been a fully operational digital currency exchange and has not undergone any further changes or problems with its operations. It is always a good idea to try to pick a cryptocurrency exchange that is based in either the USA or Europe. The reason for this is the legal protection that these countries offer their citizens. Though it obviously helps to be living in the same country as your exchange, the most important thing is that it is located in a country with laws that prevent it from acting against the interest of its users. Also, countries that have an extensive and transparent legal process allow ordinary people to see the winds of change long before they arrive. In a relatively unregulated industry such as cryptocurrency this will help protect you from potentially losing some if not all your money. In countries such as China, governments issue new regulations or bans relating to digital currency trading without warning. This has led to exchanges being suddenly unable to operate properly and even having to close down. CEX.IO is a registered as a Money Services Business in the United States. This means that it must act within the boundaries of the laws governing U.S currency exchanges. This includes protecting their clients’ money and maintaining adequate security for storing it. CEX.io holds a PCI DSS certificate as proof that it meets U.S government standards relating to the process of processing, storing and transmitting card transactions and data. 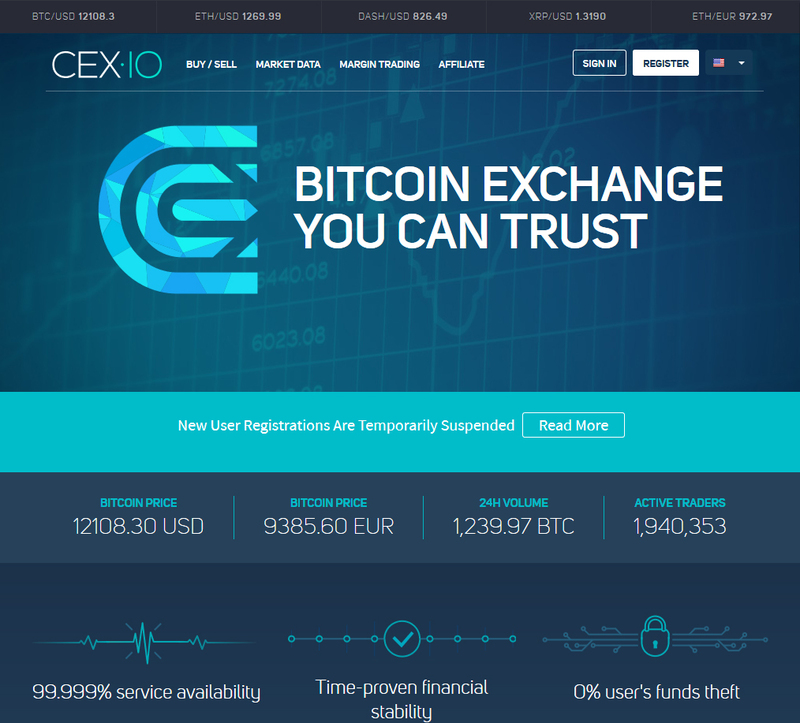 As an online-based exchange, CEX.io has been subject to numerous hack attempts, some of which have been successful. One example came as recently as August 2017, when CEX.io confirmed that up to 2 million of its users may have had some of their personal information stolen. The company did, however, react quickly and employed an outside security service to help review its security systems. It is important to note that no digital exchange in existence has not at one time or another been subject to a cyber-attack. While in the massive security breaches have actually caused the demise of some exchanges, eliminating the hacking threat altogether is simply not realistic. The most important thing for users is that an exchange is open and transparent about these events when they happen. Good communication is key as it helps to prevent panic. When it comes to this CEX.io has repeatedly shown itself to be a good exchange. Recently, it added a Two-Factor Authentication via Google Authenticator or SMS/phone call security feature to all accounts. This will help boost security dramatically and help prevent malware-style hacks that have targeted individual users in the past. Ok, so now for the fun stuff. Let’s take a look at the service that CEX.io offers. Unfortunately for many altcoin enthusiasts, CEX.io has a very poor choice when compared to many other exchanges of a similar size. Despite recently adding Zcash to its list of supported currencies, its total number of currencies is frustratingly small. Consider that rival exchange Bittrex now allows its users to trade in over 260+ different cryptocurrencies and you will understand why this lack of coverage is very frustrating to digital currency traders. Many traders actually use CEX.io to buy Bitcoin which they then transfer to other exchanges in order to trade in altcoins. Also accepted as a form of payment is Bitcoin (BTC). So far as exchanges go, this is a pretty good spread of fiat currencies. The vast majority of exchanges today only accept USD, BTC and perhaps EUR. While more fiat currencies would be nice, CEX.io definitely scores top marks in this department. CEX.IO can be used in any country around the world provided the transaction doesn’t either involve credit card purchases or bank transfer. Afghanistan, Côte d’Ivoire, the Democratic Republic of the Congo, Ethiopia, Eritrea, Guinea-Bissau, Haiti, Iran, Iraq, Kenya, Liberia, Libya, Guinea, São Tomé and Príncipe, Somalia, Sudan, Syria, Tanzania, Tunisia, Turkey, Vietnam, Yemen, and Zimbabwe. Alabama, Alaska, Arizona, Arkansas, Colorado, Florida, Georgia, Guam, Idaho, Iowa, Kansas, Louisiana, Maryland, Michigan, Mississippi, Nebraska, New Hampshire, New Jersey, North Carolina, North Dakota, Ohio, Oregon, Tennessee, Texas, U.S. Virgin Islands, Vermont, Virginia and Washington. Aside from the strange case of not accepting bank transfers from about half the states in the U.S, the near worldwide coverage that CEX.io offers is pretty much unbeatable. The exchange currently offers 3 different payment options: Payment card (Visa/MasterCard), Wire transfer and SEPA transfer. Fees for buying Bitcoin with a USD credit card are currently 3.5% + $0.25 per purchase. CEX.io offers a variety of other payment options from the different fiat currencies listed above. For up to date information on these fees it is always best to visit their site. You can find all the relevant information on CEX.io transaction fees by clicking this link. How do these fares compare to other digital exchanges? Well, let’s see how CEX.io compares to market leader Coinbase. Assuming that you don’t opt to use CEX’s easy buy and sell feature that includes a 7% markup on market prices on top of an additional 3.5% credit card fee, their USD credit card purchase rate is reasonably competitive. The equivalent transaction made on Coinbase carries a cost of 3.99% plus a buy transaction fee of 1.49% fee. While it is possible to find exchanges that offer cheaper fees, all things considered, CEX.io is competitively priced given its solid reputation and size. CEX.IO processes credit card purchases instantly. This is common practice with most exchanges though sometimes verification speeds do differ. The user interface is really well designed and user-friendly. After you register and log in you will be presented with a trading price graph and the respective rates against all the currencies that CEX.io accept. The chart output can be easily adjusted using tabs above the graph to alter the display according to whatever timeframe you desire. Likewise, tabs along the top of the interface quickly allow users to jump between the different cryptocurrencies that CEX.io currently deals in. A simple but trusty display, CEX.io is ideal for investors and large volume traders alike. It is really hard to judge a company’s customer support accurately. Largely because it is a matter of individual opinion and the fact that users generally only take to the forums to comment about customer service when it has been negative. On the whole, however, CEX.io does have all the usual avenues open for users to access customer support. 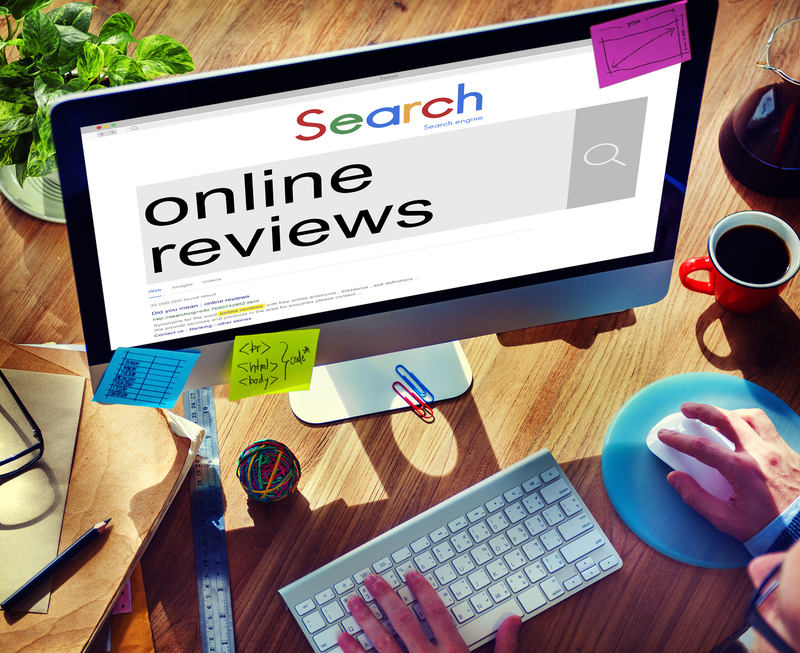 Most users who have left negative reviews on sites like Trustpilot do concede that they did receive replies from CEX.io, it’s just they weren’t happy with this final outcome. Users can contact CEX.IO customer support by emailing their queries to support@CEX.IO. CEX.IO has a very good reputation within the industry. In a recent article in CoinMArketCap, CEX.io was rated number 39 in terms of total trade volume over a 24 hour period. This makes it a pretty bit player in the global cryptocurrency industry. Overwhelmingly the feedback CEX.io receives from its tens of millions of users is positive. Well, there you have it. Having covered all the main features of the CEX.io exchange you should now have a much better insight into their operation. The CEX.io exchange offers a good level of security which includes a two-step authentication process that means accounts are now more secure than ever and can no longer be hacked based on password alone. The exchange supports 5 fiat currencies: USD, EUR, RUB, GBP, and BTC which can be used to buy 6 different cryptocurrencies that include Bitcoin, Ether, Litecoin and Bitcoin Cash. While this is certainly not a huge spread of supported cryptocurrencies, keep in mind that most of the sites that do support a large number of altcoins don’t allow users to use fiat currency to buy them. CEX.io allows for near worldwide use and only limits credit card purchases in a handful of countries. Though why they also restrict about ½ the states in the U.S from making direct bank transfers will perhaps always remain a mystery. While their rates are not the cheapest around, they are cheaper than leading U.S exchange Coinbase and are about average when comparing big digital currency exchanges. Provided you are happy to do direct bank transfers then their rates work out to be extremely good. Another really nice thing about CEX.io is that they were quick to launch a really good app. Their app has been commended for its user-friendliness and security. Traders will also be interested to know that CEX.io also allows margin trading for a small fee. CEX.io is a really good exchange that has all the things that both traders and investors need to buy and sell cryptocurrencies. The company is large enough to generate the kinds of revenue that allow it to invest heavily in security but small enough not to be the main target for cyber-attacks. Provided you are happy with their fees and are not planning to trade in any of the countries that they don’t allow then hit their site today and start buying Bitcoin!